Austin Baird | State of Alaska Feb 9, 2018. 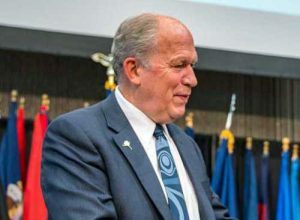 JUNEAU – Governor Bill Walker Thursday introduced four pieces of legislation to remove Department of Commerce, Community, and Economic Development statutes that do not serve the public and create regulatory confusion. The bills repeal obsolete statutes and help downsize government operations. Repeals requirements related to the federal Uniform Land Sales Practices Act. This model act was withdrawn by the National Conference of Commissioners of Uniform State Laws in 2012. Repeals the Athletic Commission, and the licensing requirements for boxing and wrestling. The Athletic Commission was deactivated in 1997 and the boxing and wrestling licensing program has been discontinued since 2002. Professional licensing programs are required to generate enough fees to cover the cost of operation. The Athletic Commission did not meet that statutory requirement which resulted in its discontinuation due to lack of funding. Repeals the BIDCO Loan Assistance Program and removes the annual examination requirement. A “BIDCO” is an organization licensed by DCCED to provide financial and management assistance to businesses. The ability to examine a BIDCO is retained in this legislation. The loan assistance program was never funded, and thus has never been used. Repeals mandatory 18-month examination requirements for premium finance companies. Premium finance companies (PFCs) are typically located outside Alaska, which makes the State’s regulatory scheduled examinations redundant. Costs of examinations are billed to the licensed company. PFCs will remain subject to examination as needed under existing statute. Press link to read the Transmittal letters for the DCCED Repealer Bills.